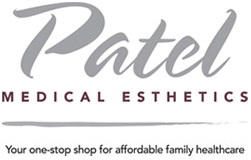 At Patel Medical Esthetics, we believe that a doctor and patient become a team for their medical needs. Dr. Bhupendra Patel spends most of his time listening to you to understand your concerns and respond with the best treatment options for your needs. We pledge and guarantee that we will always do our very best to serve you. Our 'medical goal' is to provide the very best possible medical care for our patients so that each of you may achieve optimal health throughout your lifetime.